As part of its commitment to meeting the highest standards in product safety and quality, Middle Atlantic Products is now participating in UL’s Standard Technical Panel (STP) for UL 2416. 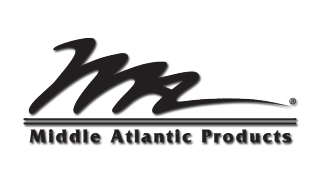 As a voting member of the panel, Middle Atlantic will help to develop future requirements of the standard for audio/video, information, and communication technology featured in cabinet, enclosure, and rack systems. For the first time, the AV industry will have a dedicated standard to address the safety of cabinets, racks, and enclosures intended to power, protect, heat, cool, or otherwise support AV, IT, telecommunications, and similar equipment. Currently, these products have been evaluated using UL 1678, the standard for household, commercial, and institutional-use carts, stands, and entertainment centers for use with audio and/or video equipment. Within UL STP 2416, the standards body will develop standards to assess, measure, and validate the safety and performance of infrastructure products. In addition, Middle Atlantic is presently lending its thought leadership in the development of InfoComm International’s Rack Building for Audiovisual Systems standard (INFOCOMM F502.01:2016). This standard will address industry best practices for building quality AV rack systems. Together, these two standards will provide integrators with the information and confidence to select high-quality, standards-compliant infrastructure systems while addressing industry requirements for AV equipment rack planning/assembly, equipment population/loading, and integration.